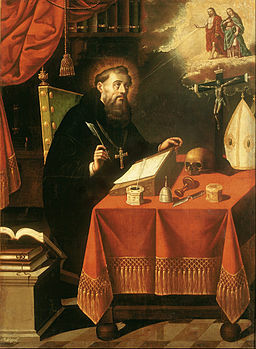 St. Augustine is someone who many of us can relate to. In his youth he was, well… a “partier”, to put it in modern terms (he writes about it in The Confessions.
) He liked a good brew — hence he is the patron-saint of brewers — and good entertainment. In those early years he would pray “Give me chastity and continence, but not yet.” He got his wish and did eventually become chaste and continent through, some say, divine intervention. Read about his conversion here. Here are a few quotes — with a little added commentary from myself — from St. Augustine’s works that can aid us in letting go and moving on. No matter how difficult the changes we are going through whether moving on from a relationship or moving on from even this life what matters most is our reaction and attitude to those changes rather than the outer changes themselves. Live well and the times are made good as well. It’s all about how you deal with misfortune. If your habits are to complain and blame and see the dark side then when bad things happen your misfortune will be doubled! One the other had if you can see the best and give the benefit of the doubt then the burden of pain will be lessened and the lessons will be learned all the more swiftly. Yes, even saints err. If saints make mistakes so much more do we! To me this speaks of compassion for ourselves and by extension to other who may harm us or disagree with us. And, as well: “Love the sinner and hate the sin.” We ALL make mistakes. Just as you want to be liked, loved, and cared for even though you “sin” so does everyone else. Know latin? You can read The Confessions online with english commentary.